Hello friends! I’m back. 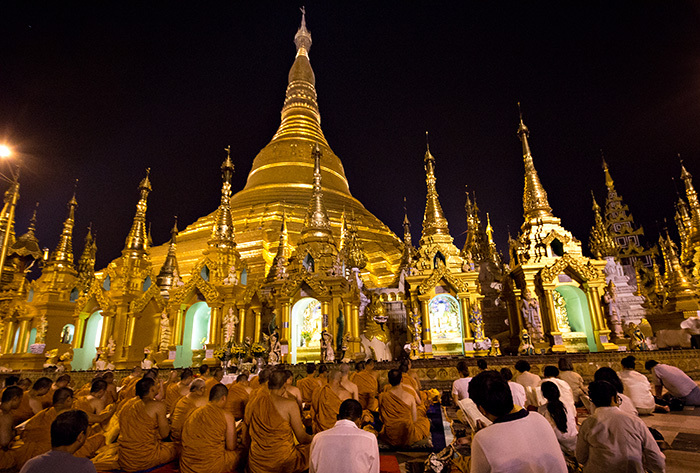 This time I will tell about a short trip in Burma (from 1989, renamed Myanmar). 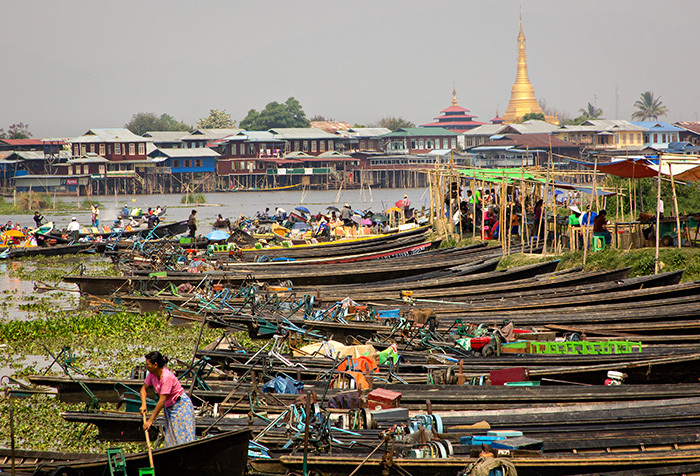 Burma is an extraordinary place with a magical atmosphere, due to omnipresent Buddhist pagodas, and to the feeling of being really somewhere else, like out of our time. 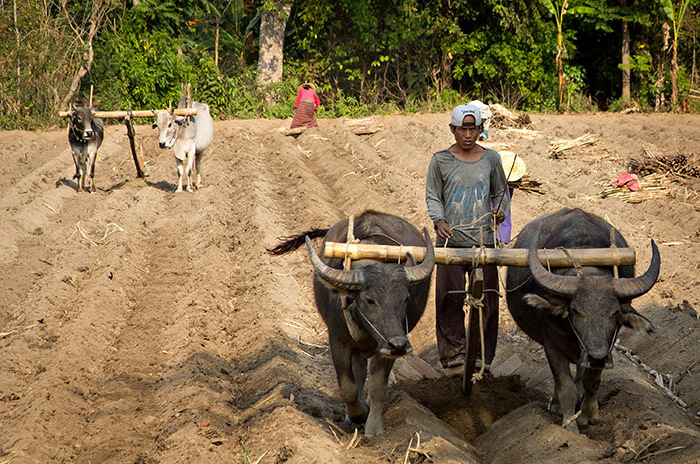 In fact, the strong isolation from the rest of the world due to the brutal military dictatorship, has on the other hand allowed Burma to preserve cultures, traditions and ways of life that almost certainly will disappear forever in the next few years with the arrival of the “progress”. Anyway, for now we welcome with joy the news that just few days ago, after more than 50 years, it was elected the first president not related to the military junta. His name is Htin Kyaw, a loyalist of Aung San Suu Kyi, the energetic woman Nobel Peace Prize and symbol of the struggle against the dictatorship. She will be the Foreign Minister, since could not become President because an article of the constitution, probably created specifically against her, does not allow her to be president since her sons have British nationality. 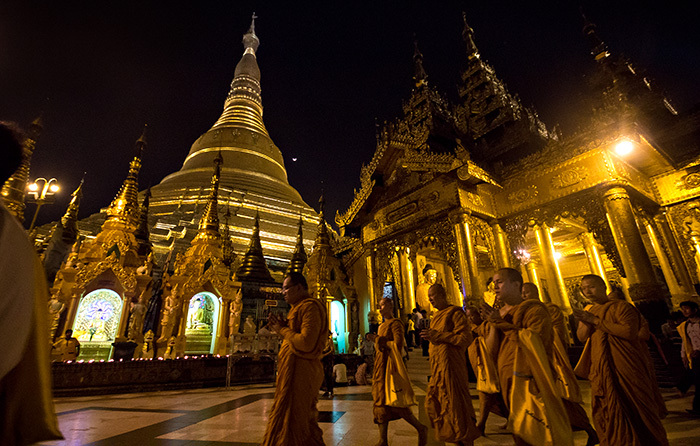 The Shwedagon Pagoda in Yangon, one of the most spectacular temples in the world. 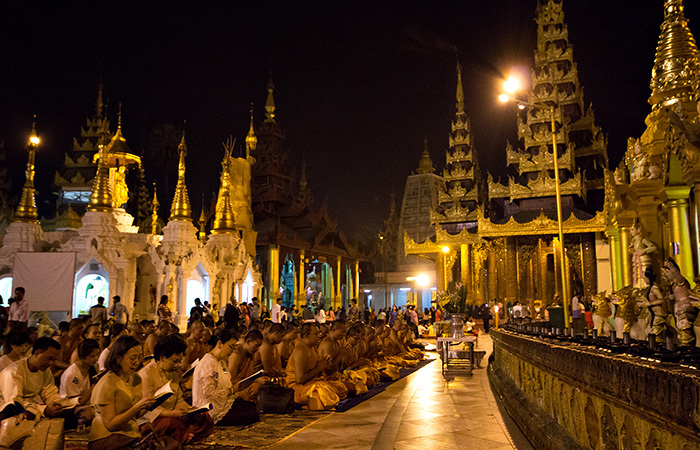 The huge central pagoda is surrounded by a myriad of small and large pagodas, little temples, Buddha images, demons and dragons, where you get lost as in a mystical dreamlike journey. 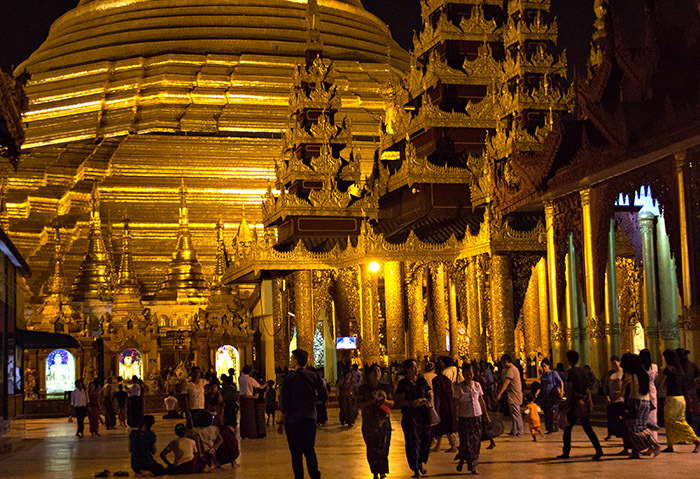 Over the centuries, the pagoda was gradually covered with gold. At the moment it is covered with about 60 tons of gold. At the top there are also embedded jewels and diamonds. 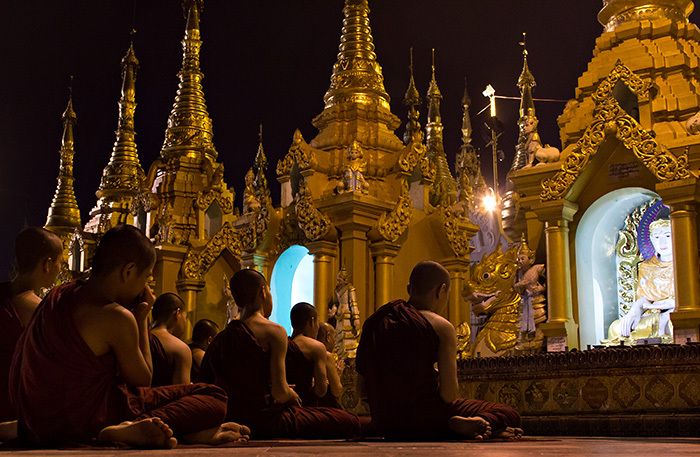 Buddhist monks and followers pray. 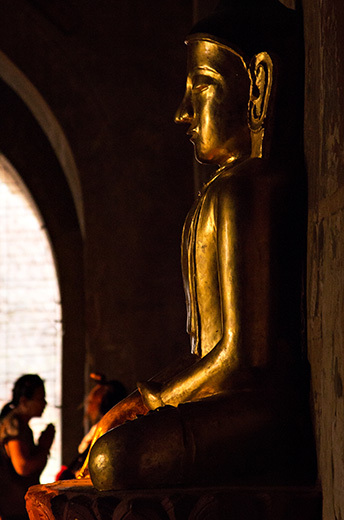 Buddhism is an integral part of Burma and, generally, the Burmese art is Buddhist art. The monks have always had an active part in political struggles, fighings for example against the British colonization and the military dictatorship. 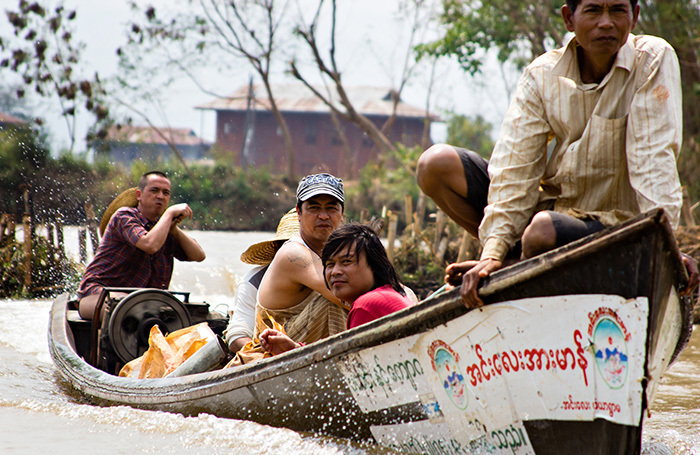 During the day, there are cerimonies where children are brought on shoulder, followed by their relatives. 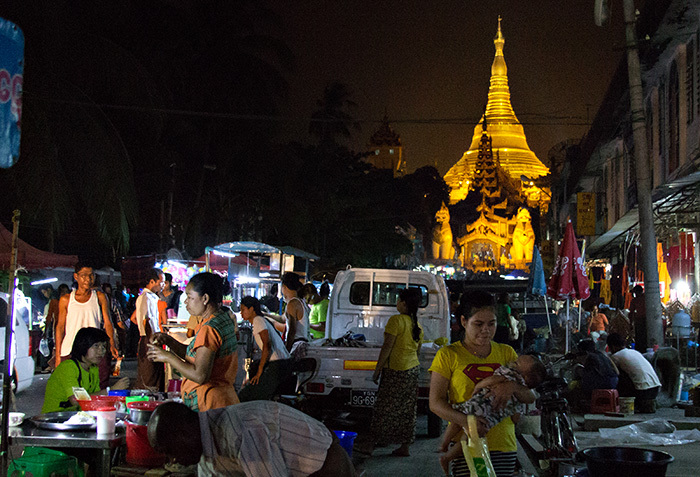 Street in Yangon, formerly Rangoon and former capital. As with the name of the nation, to give a symbolic cut to the colonial past, the military junta has changed many names of cities, often by reintroducing the original name to that given by the British administration. 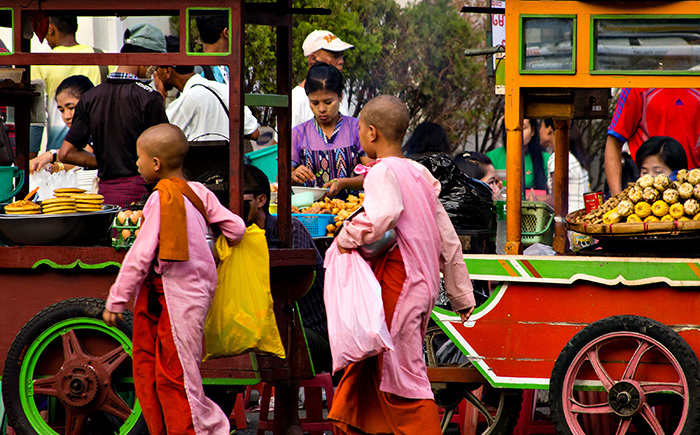 Little Buddhist passing by street food carts. 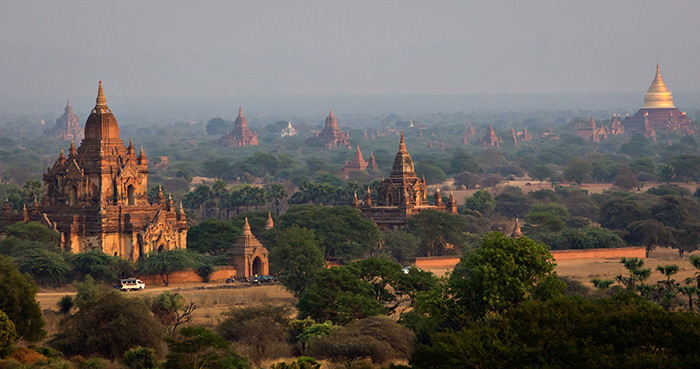 The spectacular Bagan, where you can wander among some 2000 temples, built mostly between 1000 and 1200, when it was the capital of the kingdom of Pagan. They have survived to devastations, earthquakes and erosion. 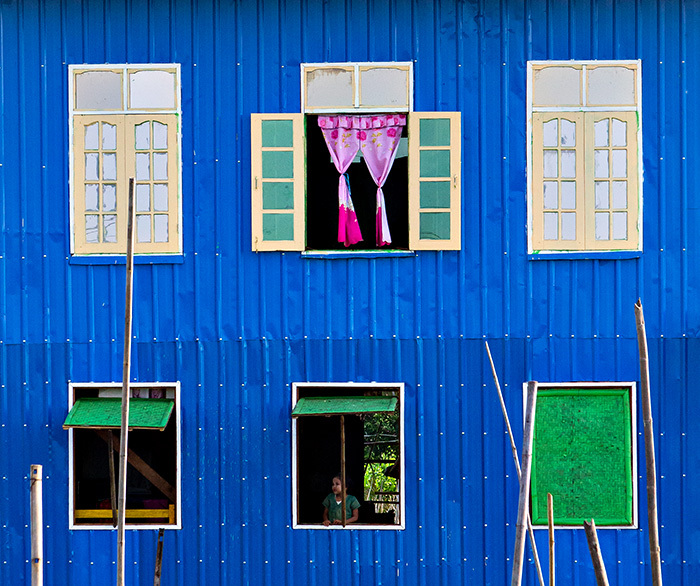 Instead, the other buildings of the city are completely gone, because they were made of wood. Inside the temples there are Buddha statues. 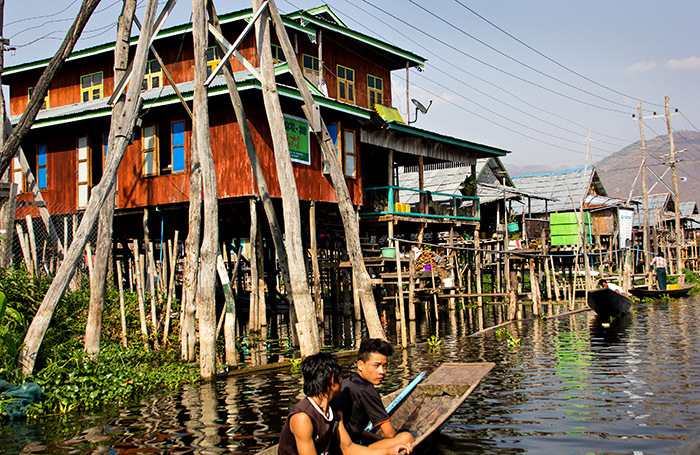 One of the villages on Inle Lake. 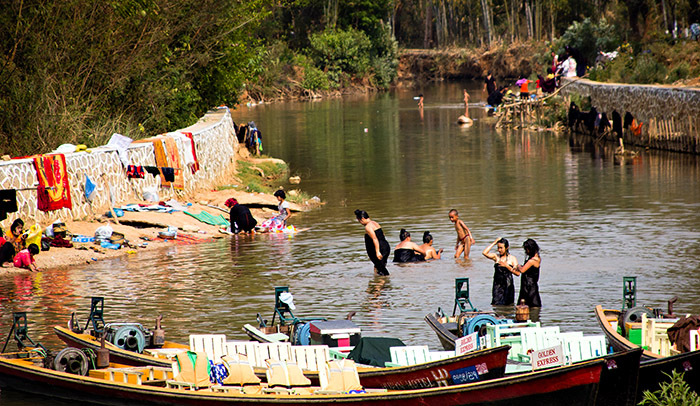 Women washing and doing the laundry in one of the tributaries of Inle Lake. 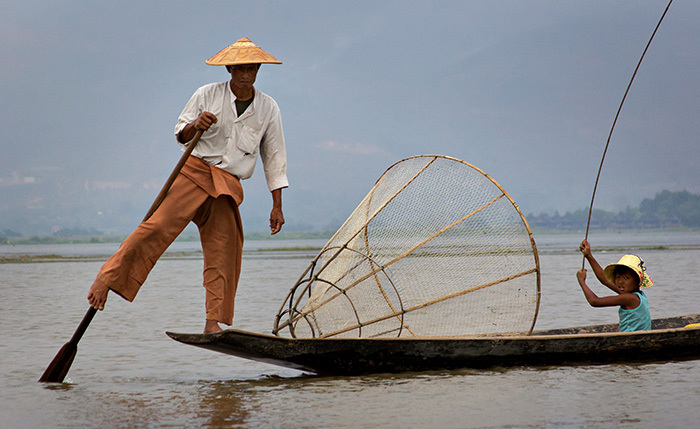 With a unique technique, the Inle lake fishermen manage to stay balanced on the boat with one leg while paddling with the other leg and in the meantime use the arms for fishing. 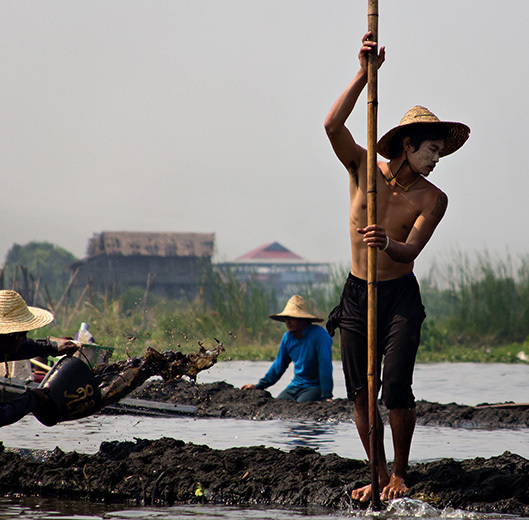 Long black boats are used for moving on the lake. 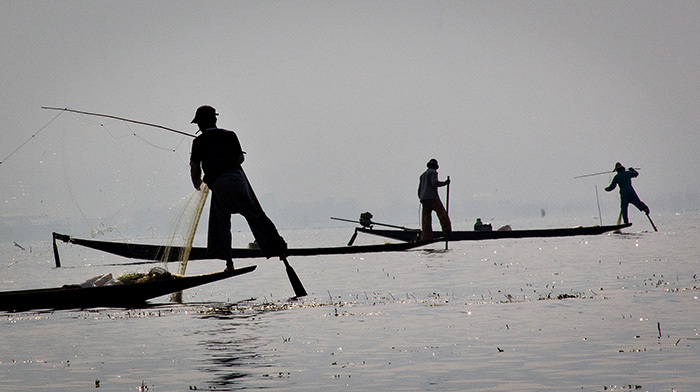 Every weekday, in turn, one of the villages around the lake is home to the market. On that day hundreds of boats arrive. The villages are made up of piles. 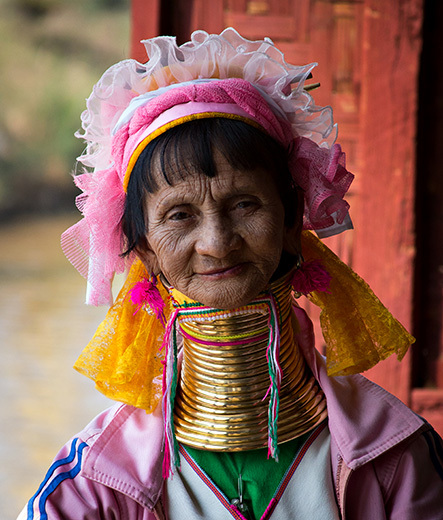 The typical “giraffe women” of Burma. I picked up those rings and they are also very heavy! And they put also at wrists and ankles. Then, a very uncomfortable ornament, maybe almost like walking on stilettos. Actually this is one of the cases where we are assisting to the transformation of an ancient culture in its simulacrum. 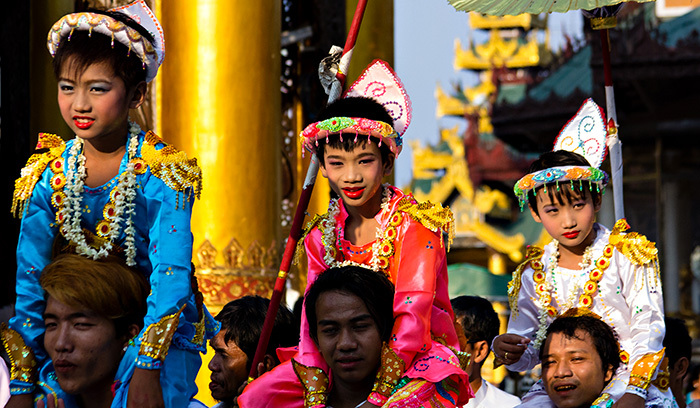 In fact, these women are part ethnic group of Kayan, which occupies an area on the east, near to the border with Thailand. 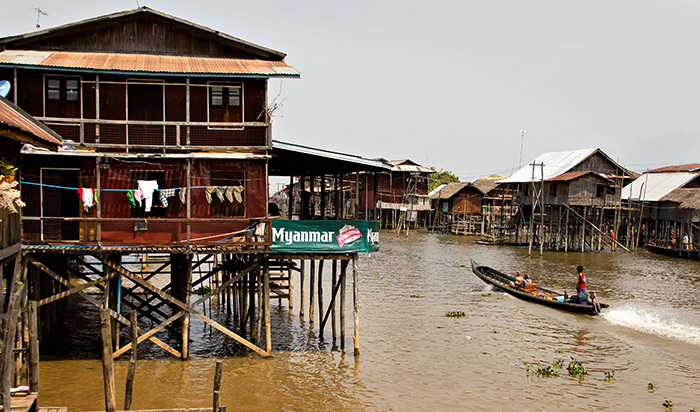 But in recent years some of them are moving to the more touristy areas to sell souvenirs. Finally, I went to Ngpali, where there is a long beach with bungalows. At the moment it is still a pretty wild place, where buildings must be lower than palms by law. 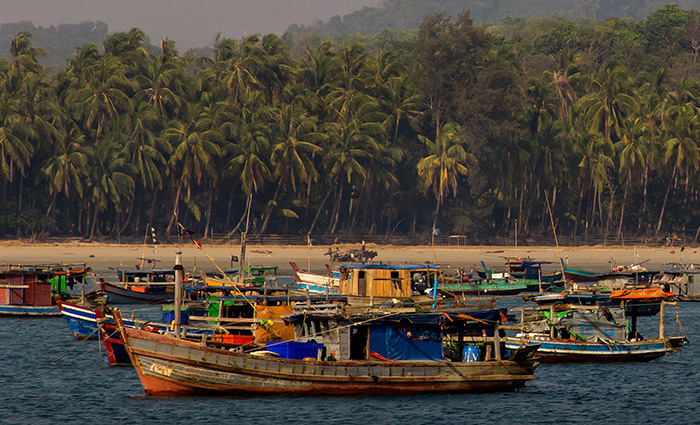 In the picture, one of the fishing villages near Ngpali beach. 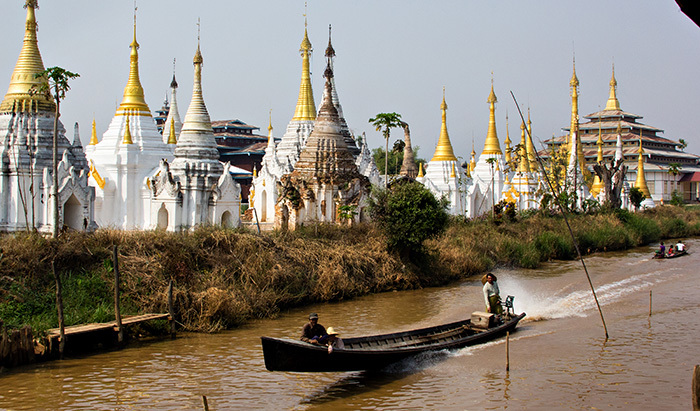 In these western areas near the border with Bangladesh in recent years there have been tensions between Buddhists and Muslims, and, paradoxically, the most violent attacks were carried out by Buddhists. 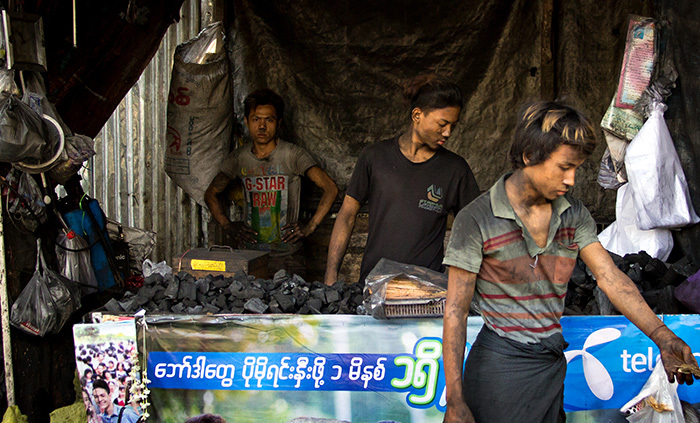 Burma takes its name from its dominant ethnic group, but there are more than 100 races and ethnicities, with ever present autonomist claims and tensions between different groups. 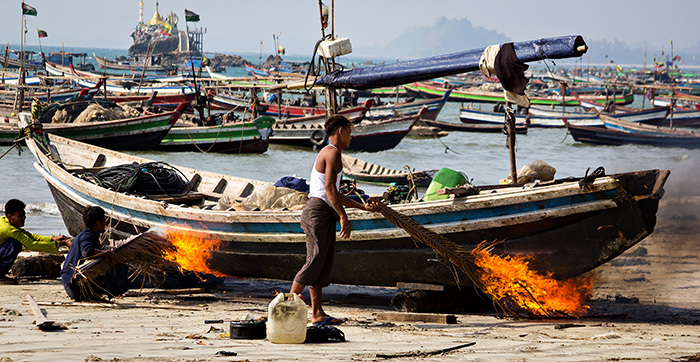 Fishermen perform maintenance on a boat (or are pyromaniacs, I don’t know). 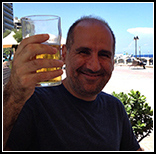 In the next days I will put a larger selection of photos and with better resolution on my photo page ( www.dekaro.com ). 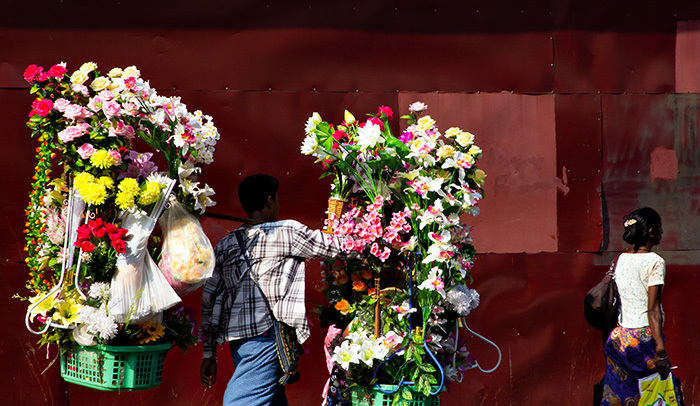 This entry was posted in Burma and tagged burma, myanmar by Dekaro. Bookmark the permalink.